PADI Course Director and Technical Diving Instructor Trainer Lee Butler, in association with Savedra Dive Center, a PADI 5 star IDC center located in Moalboal on the beautiful island of Cebu, welcome you to your PADI Instructor Development Course, and other professional diver training programs, from Divemaster, to Technical Instructor Training. Whatever your career goals may be, IDC Philippines can create a package to fulfill your requirements. 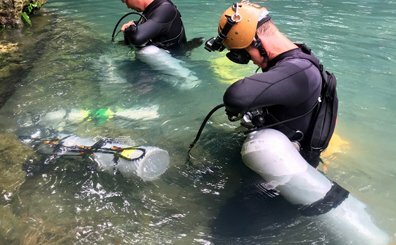 We offer packages training novice divers to Divemaster, Instructor development courses, continuing education programs for instructors and Technical diver training up to instructor level. Savedra is a long established dive center that hosts the majority of diving activity in Moalboal, we are the natural choice to conduct your professional training, no one knows better than us what is needed from a dive professional. Experience is the most important aspect of any Divemaster or Instructors training, Savedra is your best choice for that, come and see for yourself. 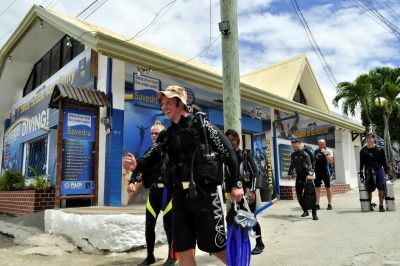 Our dive center boasts first class facilities and equipment with unparalleled service and professionalism. Our training is designed to prepare you for your chosen career and ensure you are able to deliver quality diver education, not simply pass tests, we sell training and education, not certifications. Where you choose to learn is an important factor, you will be here for an extended period and should aim to train in a place that you can enjoy. Moalboal is surrounded by lush green hills, plenty to explore there if you need a day off diving. The diving itself is among the best and easiest access in the world, just 20 meters from the shoreline you will find yourself hovering over a 60 meter wall, with coral all the way up to 6 meters, this makes our dive sites accessible and interesting for beginners and pros alike. The Philippines, located in the heart of the Coral Triangle, the global center of marine biodiversity is the perfect place to stage your dive training, be warned like all of us here, you may never wish to leave. 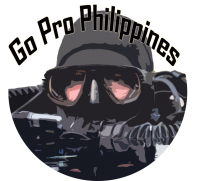 Go Pro Philippines are proud to be partners with Savedra Dive Center Moalboal, a PADI 5 Star Career Development Center. Small groups to guarantee you the level of personal attention needed, we aim to be the best, not the biggest. We keep a permanent staff of Technical Instructors, and IDC staff instructors to keep training groups to a comfortable size. 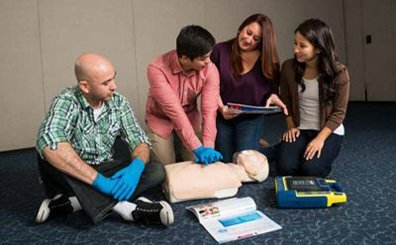 Our unique online classroom provides registered students access to digital materials, and training aids. This allows you to get a head start on studies before you arrive, and an online reference library that will help you in your new career after the training is complete. The relationship you have with our Course Directors and Instructors goes way beyond the training program, we provide long term advice, counselling, and career support, consider us your professional partner. Pass Guarantee For IDC candidates. In the unlikely event you are unsuccessful on your first IE, or you are not ready, you will be invited back to our next IDC free of charge for any additional training needed until you are good to go. We do not expect to use this option, but it’s comforting to know we are as invested in your success as you are. For Technical Students, we understand that this type of diving requires long term development. If you take a Technical Course with us (e.g. Tec 40) you are welcome to come back and resit that same course anytime we have one running, we will only charge you diving costs (e.g. your share of the boat, gas etc). We find this approach fosters the appropriate team mentality, safe diving, and ensures you get out of the training what you need. Technical Instructor candidates once your instructor training is complete, you are welcome to audit any technical courses that we are running, and you are qualified to participate in, and be charged only costs (e.g. your share of the boat, gas etc). Quality training, with real world application of knowledge and skills, we aim to equip you with what you need to teach diving at your chosen level. Our team is heavily focused on personal development and improvement, to ensure we offer you current knowledge and skills, at a level you would expect. 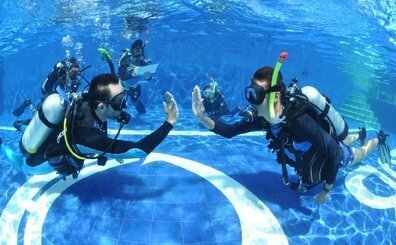 How do you best prepare for the PADI IDC?